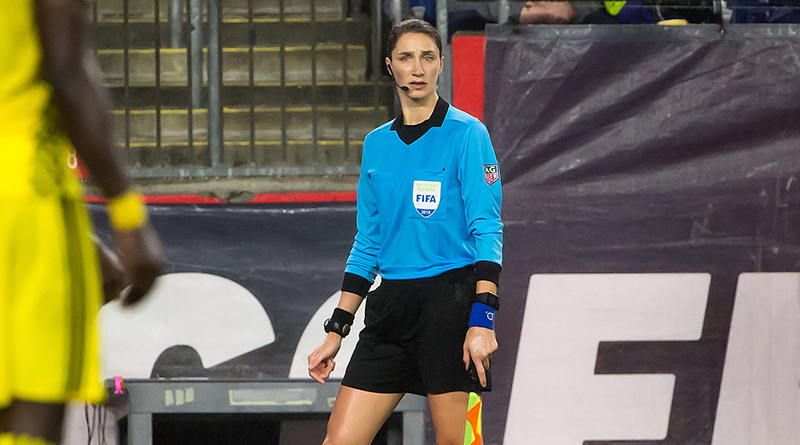 Katja Koroleva, Kathryn Nesbitt and Felisha Mariscal have been selected to officiate at next summer’s FIFA Women’s World Cup in France. The PRO trio are part of a 75-strong team, which has been sourced from a total of 42 different countries for the tournament that kicks-off on June 7. Koroleva is one of five CONCACAF referees selected in a pool of 27, while Nesbitt and Mariscal will operate as two of 48 ARs. Matches will be played in Grenoble, Le Havre, Lyon, Montpellier, Nice, Paris, Reims, Rennes and Valenciennes, with the final taking place at Parc Olympique Lyonnais, Lyon on Sunday, July 7. USWNT will be defending the title they won in Canada in 2015 and await the draw for the Women’s World Cup, which will be made on December 8, to find out who they will face in the group stages. For PRO’s three officials, the Road to France 2019 began in September 2015 when the women’s refereeing project for this competition was first announced by FIFA. Since then they have participated in preparatory seminars covering a range of topics, while also being evaluated at other FIFA tournaments. “This is a tremendous achievement for Katja, Kathryn and Felisha and we are very proud of them. They have put in a lot of hard work and made many sacrifices to earn their selection, and this again emphasizes how much progress our officials are making through the support of US Soccer and PRO,” said PRO GM Howard Webb.